A World Dance and DanceSport Council professional, he now provides coaching and choreography for some of the best professionals in the World, and he routinely acts as a judge at some of the most prestigious dance competitions throughout the World. He has been certified as an adjudicator by the NDCA, WD&DSC, and Fred Astaire Dance Studios Inc. in International Standard and Latin, American Smooth and Rhythm, and Theater Arts. 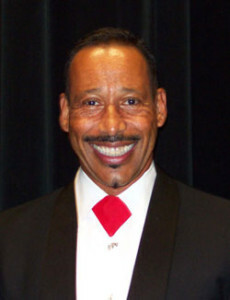 As a professional dancer, Rufus competed nationally and internationally, holding national titles in international Latin, American Rhythm and Theater Arts. He currently choreographs for the top professionals and amateurs. He has performed all over the World, including special presentations at Blackpool. Rufus often provides instruction and coaching to students and professionals at Goldcoast Ballroom, and frequently acts as Evaluator, providing his helpful critiques to the students who dance, at Goldcoast Ballroom Showcases.